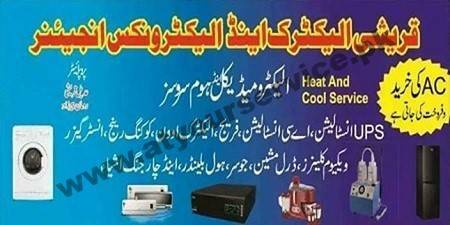 Qureshi Electric & Electronics Engineer is located on Stadium Road Rawalpindi. It provides electro-medical services. It also provides Installation, repairs and servicing of UPS, Air Conditioners, Refrigerators, Cooking Range, Insta Geysers, Vacuum Cleaners and other electro-mechanical home appliances.